You can avoid pain, discomfort, and injuries with our caregivers by your side. Our caregivers are trained to help seniors, people with physical and mental handicaps, and others with impaired mobility to move about. 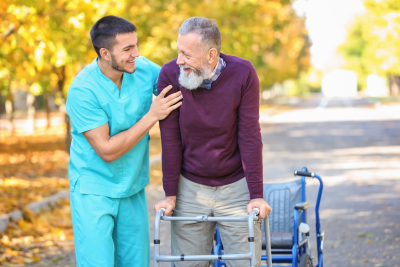 They can assist you with transferring, lifting yourself up, walking, and using assistive equipment, like wheelchairs and walkers. They also help you manage special equipment to ensure that you get to use them properly as you move about.